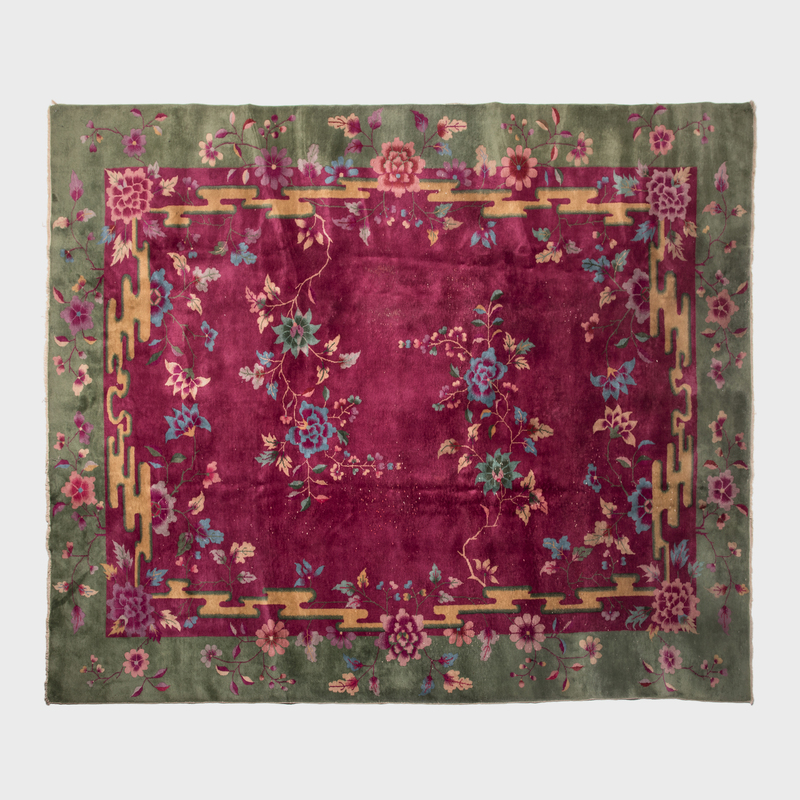 W: 45.5" D: 27.75" H: 0.25"
This 19th-century Tibetan prayer carpet was hand tied with knots unique to the mountainous country. 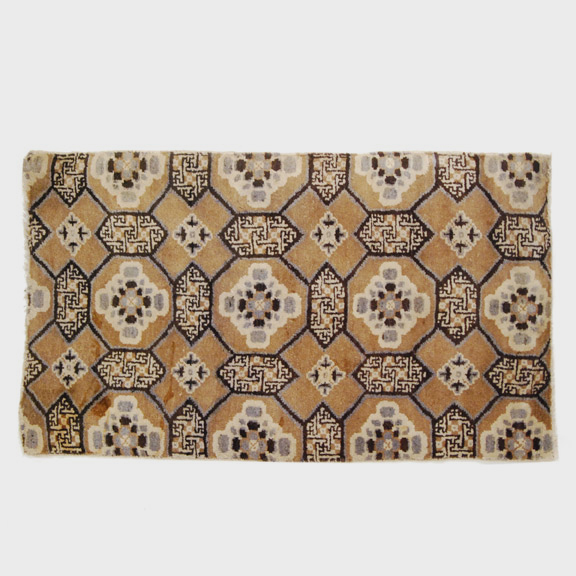 The yarn is made from wool gathered from sheep that graze in the highlands of Tibet, making it rich in lanolin for exceptional softness. 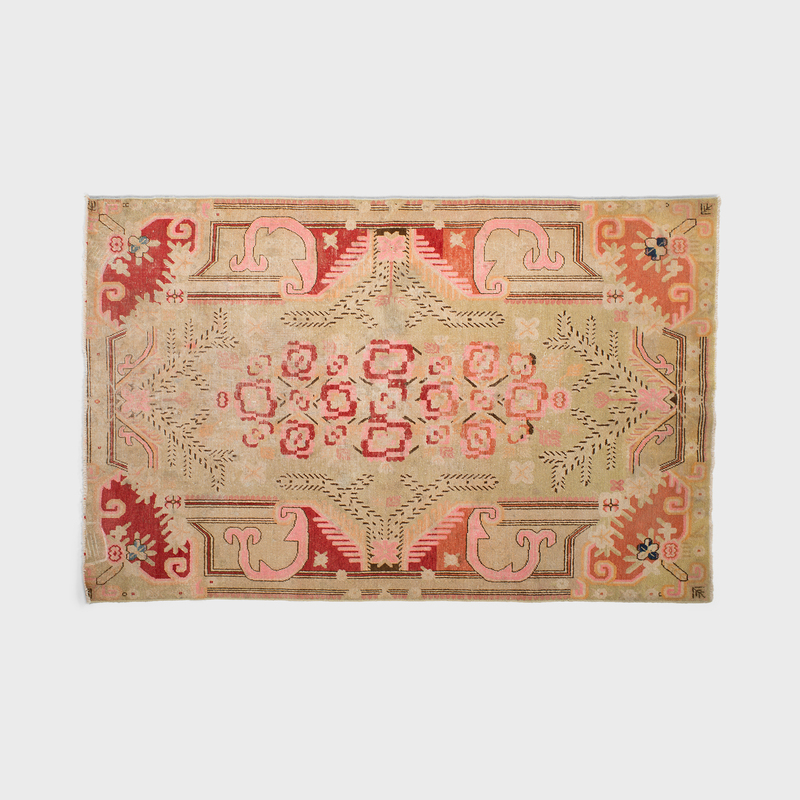 The rug displays a complex, geometric design in earthy blues and yellows derived from vegetable dyes. 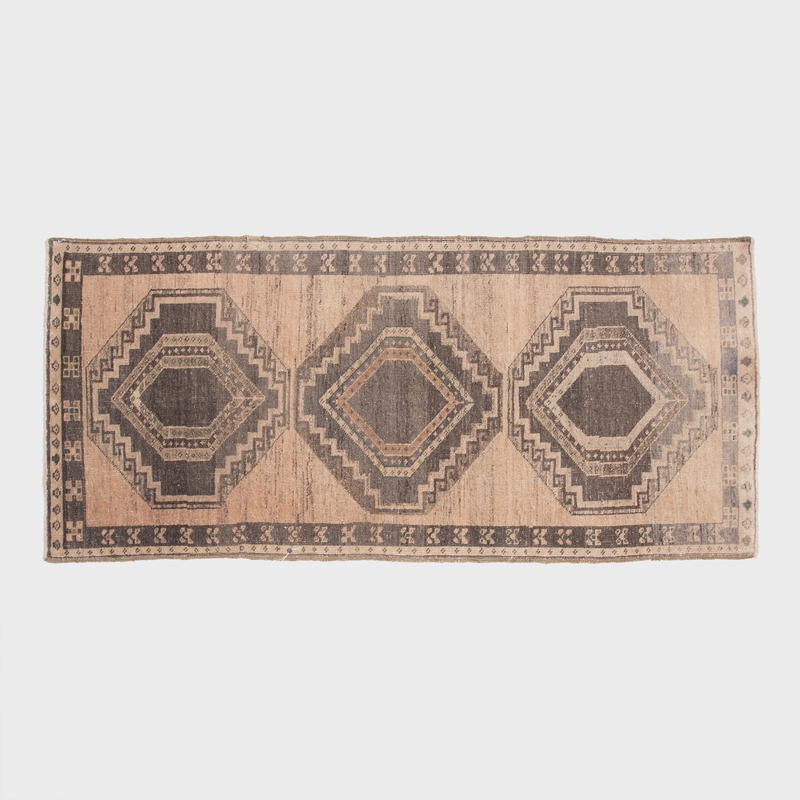 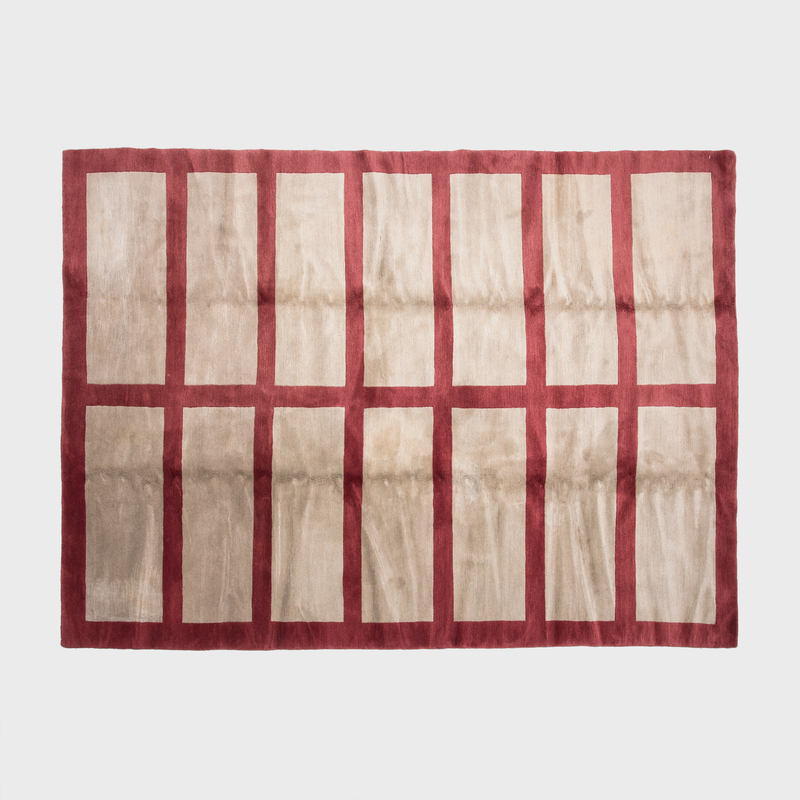 Used for daily prayers, the rug may also have been used as a floor covering, wall hanging or saddle.